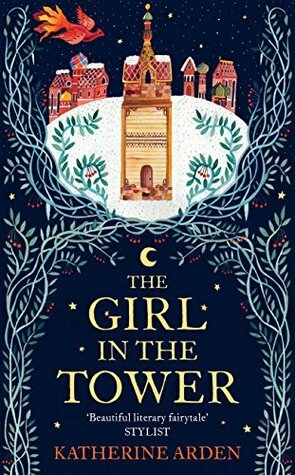 Following on from The Bear and the Nightingale, The Girl in the Tower by Katherine Arden sees heroine Vasya encounter more supernatural powers across the historic, Russian-inspired landscape. The end of the last book saw Vasya be rescued by the Winter King, Morozko, a powerful master of death who resides deep in the forest. He has taken a liking to Vasya and her wilfulness, although he is reluctant to admit that to himself, and has agreed to teach her some self defence and provide her with weaponry. With these new skills, Vasya thinks herself ready to ride for Moscow and be reunited with her sister and brother. However, upon leaving the Winter King she comes across villages burned by bandits, with the few survivors telling of how their daughters have been kidnapped. 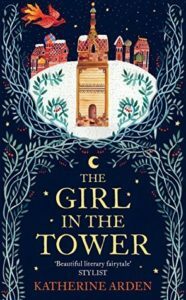 Mistaking Vasya for a boy, the townspeople are thankful when she promises to return the missing girls, using her connection to the village spirits to guide her to the bandit camp. Earning herself a reputation as a brave fighter, Vasya then comes face to face with her brother, Sasha, and Prince Dmitri. Now under the guise of a man, Vasya is putting both her brother and sister’s reputation at risk, with them all risking expulsion from the Moscow court if the prince finds out their lie. Then there is the added complication of the priest from the first book, who is convinced that Vasya is in league with the devil and is determined to get rid of her from his thoughts. With enemies on all sides, this time Vasya’s threat is not just supernatural but political as well. Despite remembering the first book to be a complex read, I was keen to read this continuation out of my love for Russian folklore and the history of Moscow. We finally reach the capital in all its glory, with Vasya becoming swept up in the excitement of court and in pretending to be a man, which offers her more freedom than she’s ever experienced. I think this made the plot move quicker, in time with city life rather than the slower build up offered previously in their home village. It also offered Vasya far more potential to grow, as she is on her own now, travelling where she pleases and helping those in need. She knows that if her gender is discovered they will try to send her to a convent, and there would be nothing worse for her free spirit. I also felt that this book allowed her to mature as a woman, as she begins to learn the ways of men and the subtleties of interactions between genders. It is with Morozko that this newfound confusion manifests most, as she is unsure how he feels about her and what his actions might mean. Although he gave her the tools and the horse to ride freely, Morozko still pops up and saves her if he deems it necessary, even interfering in her family life when she calls upon him. As we don’t get to see his perspective, it is hard to tell how he really feels, and I found this to be a big part of the book’s intrigue. He is mysterious and mythical, and we still don’t know how deep his power really goes, or what he intends for Vasya’s future. Whereas it was easy to see him as a saviour in book one, this time around I started to question his motives and realised that we actually don’t know much about him. I feel like this series still has a lot of places to take us before everything makes sense, with there being some deep rooted mysteries yet to be solved. There is a mythical history surrounding Morozko that we still know nothing about, with Vasya having to make a choice about where her loyalty lies and who she can trust. I for one am excited to see how the final book in the trilogy ties up all of these loose ends. A fantasy series set in historic Russia, this second instalment was more enjoyable than the first, with the groundwork having been laid for significant character development. Our heroine Vasya grows in strength and is beginning to come to terms with the world around her, trying to find her place whilst also fighting back the darkness. This book leaves enough questions that you’ll be keen to read the final instalment, which is sure to test Vasya even further.